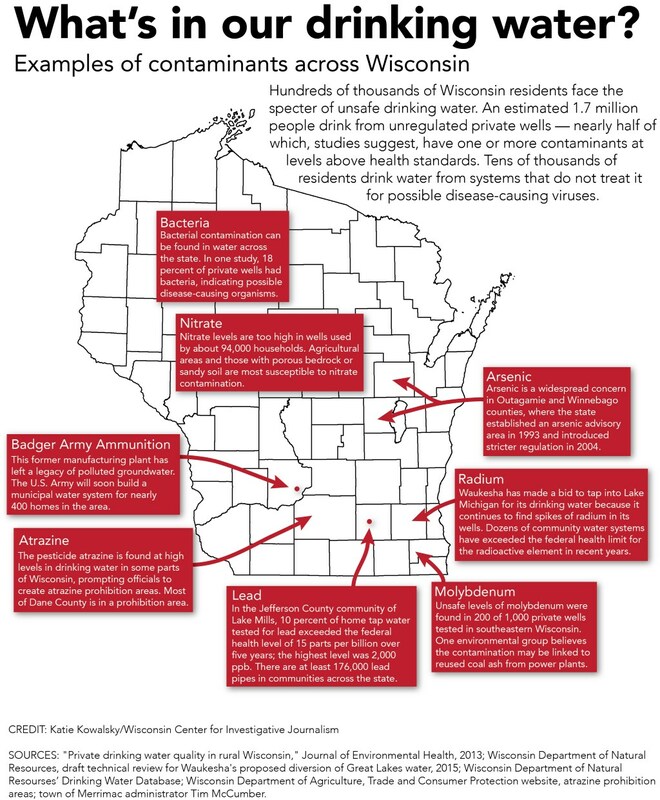 Waukesha is among dozens of communities in Wisconsin with radium-tainted well water. 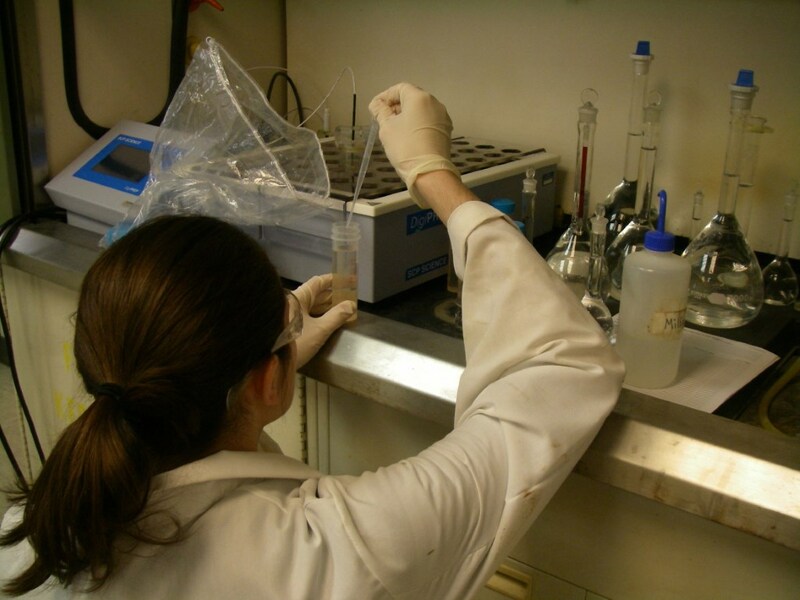 Former University of Wisconsin-Stevens Point student Jessica Peterson prepares water samples to test for metals at the school’s Center for Watershed Science and Education. Some community water systems in Wisconsin have unsafe levels of radium in their drinking water. Most private wells are considered too shallow to have radium, and the state does not require that they be tested. Debra Sisk of UW-Stevens Point. The city of Waukesha has proposed replacing its radium-tainted groundwater with Lake Michigan water. If approved, the controversial plan would mark the first test of a provision in a 2008 international compact that allows Great Lakes water diversions only when a county — such as Waukesha County — straddles the basin that feeds water into the Great Lakes. Another factor fueling Wisconsin’s radium problem is the lack of regulation of high-capacity wells, which can lead to depletion of groundwater. As communities such as Sussex drill wells deeper into a diminishing aquifer to meet growing water demands, they are pulling up more radium contamination and creating a public health challenge. “It is certainly a concern for everyone in southeast Wisconsin that more radium will turn up,” said Melissa Weiss, assistant administrator for Sussex. In 2006, 42 communities in eastern Wisconsin reported radium levels at nearly 15 picocuries per liter — three times the U.S. Environmental Protection Agency’s limit of 5 pCi/L. 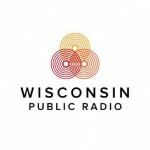 About 25 Wisconsin water systems have exceeded the maximum contaminant level over the previous two years, which means radium levels remained over 5 pCi/L for more than a year. Some other communities, such as Madison, have seen spikes in individual wells above 5 pCi/L but are not in violation because the levels were elevated for less than a year. Because of high radium levels in deep groundwater, communities surrounding Green Bay over the past decade have begun receiving water from Manitowoc, which draws most of its drinking water from Lake Michigan. The extent of radium contamination in private wells is considered minimal because most are not drilled into deep geologic formations. There is no requirement to test for radium in private wells. 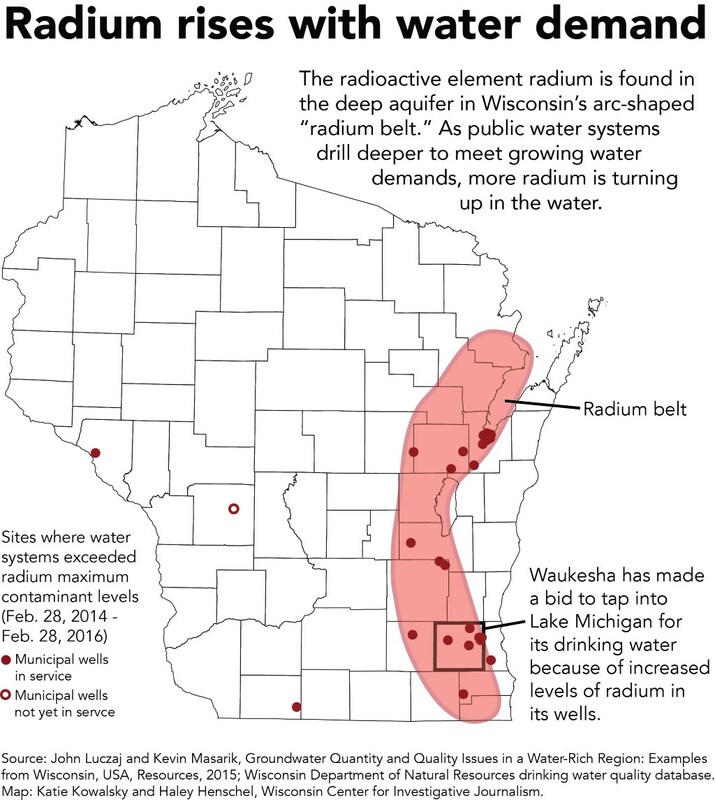 In addition, “We don’t know the radium concentration in private wells because the test is expensive (about $200), so hardly anybody tests for it,” said John Luczaj, a University of Wisconsin-Green Bay professor of geoscience who has studied radium in Wisconsin’s water. The city of Waukesha has been struggling with radium contamination in its water for more than two decades. The request to tap into Lake Michigan, which has been endorsed by the state Department of Natural Resources, is opposed by many environmentalists. Waukesha has proposed replacing the full amount of its withdrawal to Lake Michigan with treated wastewater piped through the Root River. Critics fear the request by Waukesha, which lies just outside the Great Lakes basin that drains into Lake Michigan, could open the door for additional requests to tap into the Great Lakes from outside the basin. The size of Waukesha’s water service area, which stretches beyond the city limits, also has been a criticized by opponents who fear the water will be used to fuel sprawl. The Great Lakes-St. Lawrence River Basin Water Resources Council held a public hearing in February on the proposal, which must be ratified by governors from all eight Great Lakes states. The council administers the eight-state compact that governs use of Great Lakes water. If the request is approved, Waukesha will spend an estimated $206 million to solve its radium problem. This is why its very important for the government to get involved in land use. The government needs to protect its people from having homes that will put them in harm’s way. For me this isn’t about urban vs suburban but how to most efficiently live our lives. Since the radium belt cannot support a large population lets leave this area to agriculture and wildlife and stop allowing developers to build subdivisions there. If you want to live in a subdivision that’s just fine but lets locate them in an area that can handle them.